Mike Pence the Governor of Indiana said on Sunday that the White House had not articulated a strategy that is clear for combating the militant group Islamic State. The administration, said Pence, has not yet articulated the strategy and vision that will give the American people confidence as well as confidence to allies across the globe that the U.S. is serious about driving the IS out. Pence, a Republican, who while a congressman served on the Foreign Affairs Committee in the House for about 10 years, said ensuring funding for Homeland Security, would be important and he wanted the Senate to support legislation the House passed that would give funding to the DHS, but undo the immigration executive actions made by the president. 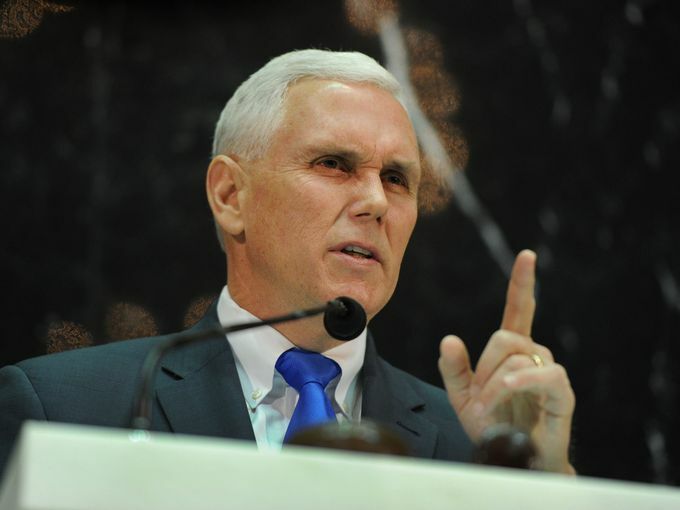 The executive orders that President Obama took late in 2014 were clearly an unconstitutional run around the authorities of lawmakers in Congress, said Pence. Jeh Johnson the Secretary of Homeland Security said that it was absurd that there was a conversation taking place about the funding of Homeland Security during the current challenging times. However, if funding is not approved by the end of February, over 30,000 people will have to be furloughed at the headquarters, on the frontlines, in aviation security and maritime security. Shabaab, the terrorist group linked to al-Qaeda recently called for there to be attacks at shopping malls across the U.S. and in specific Minnesota’s Mall of America, in a recently released video. Johnson said it was imperative that the DHS have its budget to combat those types of threats. The video said Johnson, reflects how the phase has changed into a global terrorist threat with groups like IS and Shabaab publicly calling out independent terrorists in their own homelands to carry out terror attacks. Johnson said that calling IS Islamic extremism is an injustice to Islam, which is all about brotherhood and peace. However, Pence said that Obama’s refusal to label IS as Islamic extremism has been frustrating to American people. Asked if Pence agrees with Rudy Giuliani’s statement that President Obama does not love America, Pence replied it was not helpful to question our president’s motives or patriotism and does not add to the public debate.